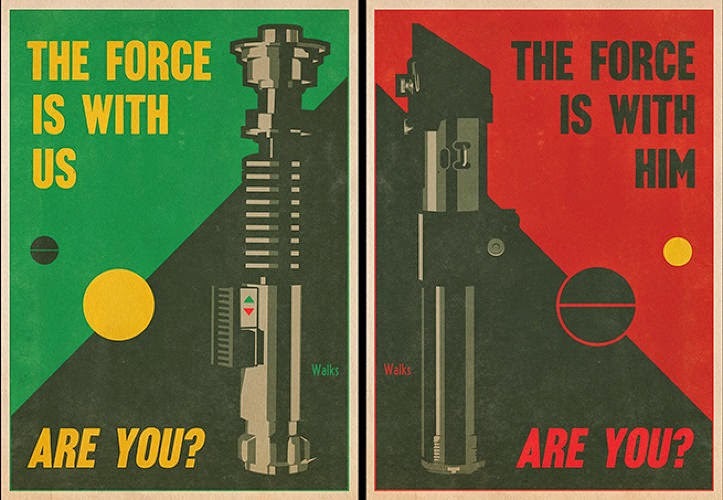 These great images from illustrator Russell Walks take Star Wars submerged 1940's sensibilities and bring them to the surface as World War II style propaganda posters. 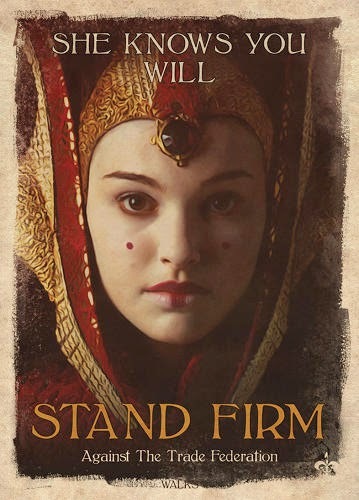 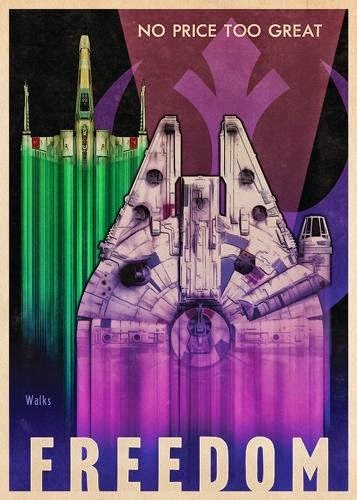 The posters seen here, though, were produced for Lucasfilm and Topps as part of a series of Star Wars trading cards. 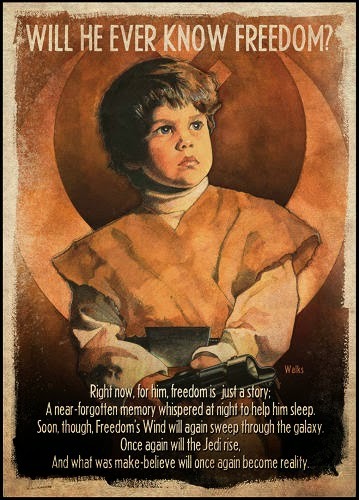 Will he ever know freedom? 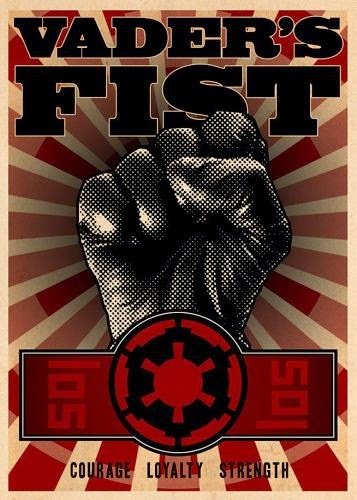 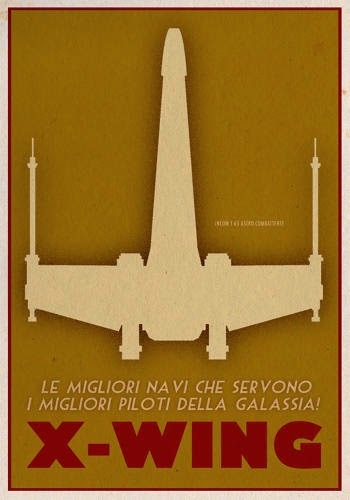 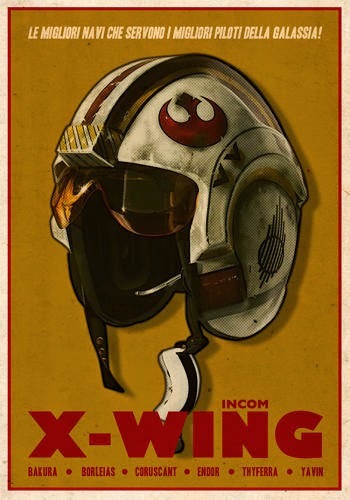 A poster looking for X-Wing pilots seems like it was ripped right off of the walls of a Roman building under Mussolini's regime. 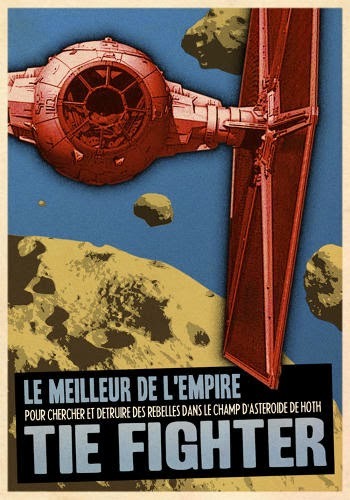 Inspired by the likes of Flash Gordon, Star Wars's entire aesthetic — from swashbuckling with laser swords right down to the famous opening crawl — is deeply rooted in the 1940's. 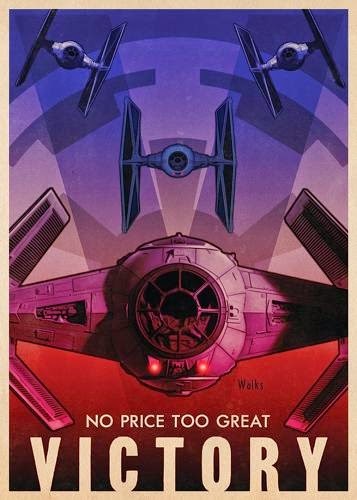 Based in Montana, Walks has licensed his art to big clients such as Paramount, Marvel, and Warner Brothers. 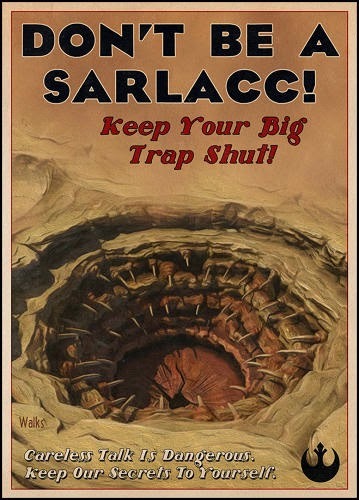 George Lucas's Star Wars films have always borrowed their inspiration old sci-fi movie serials.